Last year, Snapchat introduced a new feature called Live Stories, which is all about user generated, event-specific content. This is how it works: Snapchat creates Live Stories in advance of major events like last night's Democratic debate. Users can then submit their own photos and videos to that Live Story, and the good people at Snapchat will curate the content and select which clips they want to go live. What's so interesting about Snapchat users is their age. 86 percent are younger than 34, which is not all that surprising given the youth's insatiable appetite for ephemeral media. Getting back to politics, this is the exact same age group that Bernie Sanders has dominated throughout the entire Democratic primary. Sanders is now winning over 70 percent of the under-30-vote. It's no great mystery why he was the first Democratic candidate to launch a Snapchat account of his own earlier last year. Snapchat is an ideal medium for the Sanders campaign because it allows the Senator to target a key demographic that overwhelmingly is receptive to his message. 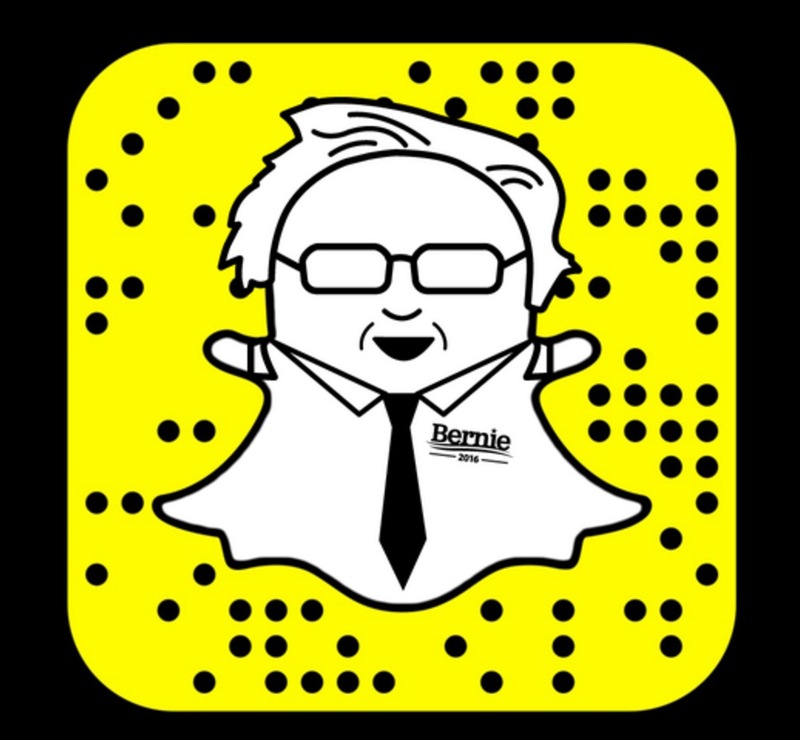 At last night's much anticipated Democratic debate in Brooklyn, Snapchat unveiled its lastest Live Story, which was called "Bernie vs. Hillary." As expected, thousands of users submitted their own content and the Snapchat staff curated it for publication. But something strange happened during that curatorial process. For whatever reason, the vast majority of the clips that were picked to go live on the story were pro-Hillary, despite the fact that most Snapchat users, statistically speaking, are pro-Bernie. Below, I compiled some screenshots from the "Bernie vs. Hillary" Live Story. Do you think Snapchat deliberately filtered out the pro-Bernie content in order to give the impression that Brooklyn, and New York at large, support Clinton more than they actually do? Is this yet another example of (social) media bias, or just a coincidence?